A while back my dad started doing pottery again. 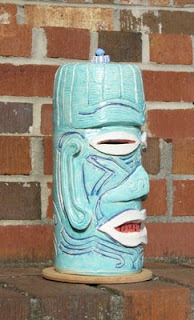 Last year I requested a tiki of some sort for my birthday present. After a lot of work and a couple of firings the finished product was unveiled this week. 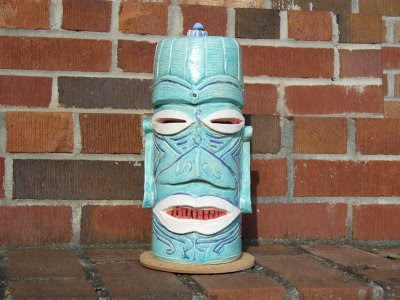 This is the best tiki ever. 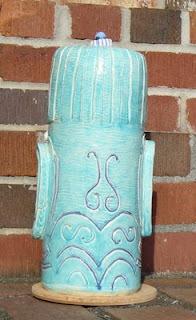 He has an open bottom and a small hole on the top offering lots of lamp possibilities. I like the thick ears... he'll need those in the living room. 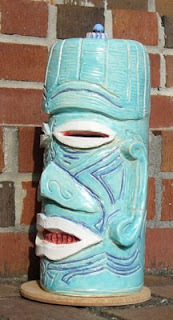 That's a cool Tiki. The drums were a nice addition to the video.